Yesterday, the latest patch for Overwatch just hit the live servers with a ton of new changes and Overwatch game keys owners are overjoyed. A lot of these changes can be viewed in our previous article here, but the biggest and most significant change of them all is the meta-changing arrival of Ana Amari. Though it is too soon to say that she’ll change the meta, the way she’s played in both Quick Play and Competitive certainly seem to point in that direction and every Overwatch CD keys owner will want to know how. For those that haven’t tried her yet, Ana wields some of the more useful skills for a single support character to date. Her default weapon, the Biotic Rifle, is used to damage opponents and heal allies at the same time, changing in effect depending on who it hits. This is quite the boon for the inaccurate players out there due to being useful when shooting into a clash of enemies and allies, being helpful no matter who they hit. Ana’s “E” ability is the Biotic Grenade, an AoE ability quite similar to McCree’s stun grenade use. Throw it onto the ground or a specific target and, on impact, will explode that will instantly heal allies and debuff enemies from being healed for a short period of time. When used in conjunction with epic team synergy can shut down the 2 support meta the competitive scene has been seeing the past few weeks. Her second regular ability, Sleep Dart, is also a game changer as it shuts down a single enemy when it hits, briefly putting them to sleep for a few seconds. It has a small hitbox and is quite difficult to get a hit on, especially during active combat, but the possibilities for it are endless. For example, it can immediately shut down any character performing their Ultimate. No longer will players have to desperately shoot Pharah out of the sky justice rains from above with Ana being able to put her child to sleep immediately. 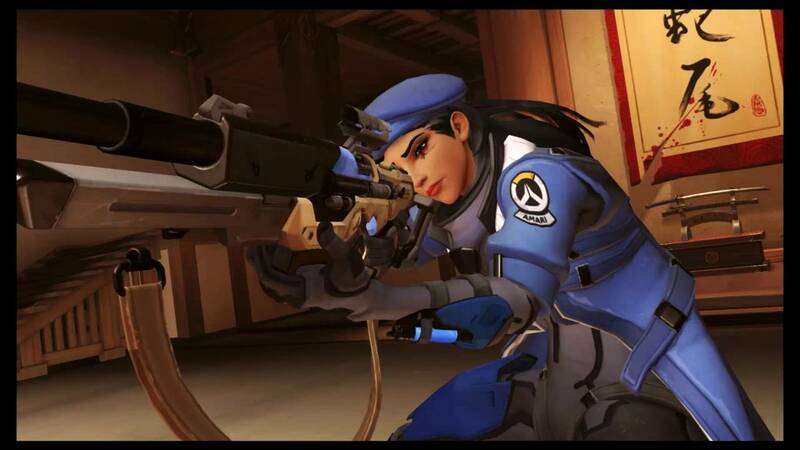 But her strongest assest, Ana’s Ultimate, Nano Boost, increases the damage output, defense, and move speed of the ally it is used on. Reinhardt on Nano Boost absolutely steamrolls everything with basic left clicks. Now, imagine if it was used in conjunction with another ultimate like Death Blossom or Barrage. Ana is certainly going to change the 2 support meta for either the better or for the worse. However, that remains to be seen until the pro Overwatch scene gets to scrim around the new update a bit more. But, at the very least, this update is fantastic as it is poised to toss up what the meta has been comfortable with for a long time.